Ginza, meaning “silver-coin mint”, is known as an upscale shopping district in Japan and in all over the world, with numerous high-end department stores, luxurious boutiques, and up-scale restaurants. Ginza, which rapidly developed in the late 19th century, is also famous for having the most expensive commercial land in all of Japan. The Ginza area used to be a swamp that was filled-in and became an artificial island with grid streets and canals in the 16th century, when Tokugawa Ieyasu established his headquarters in Edo. 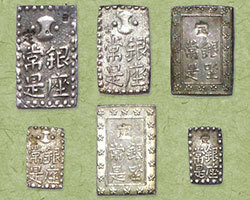 He later built a silver-coin mint in the district, and subsequently named the area Ginza, literally meaning “silver-coin mint”. During the Edo period, craft workers who produced various kinds of metal goods including lances and pots lived in Ginza perfecting their craft. 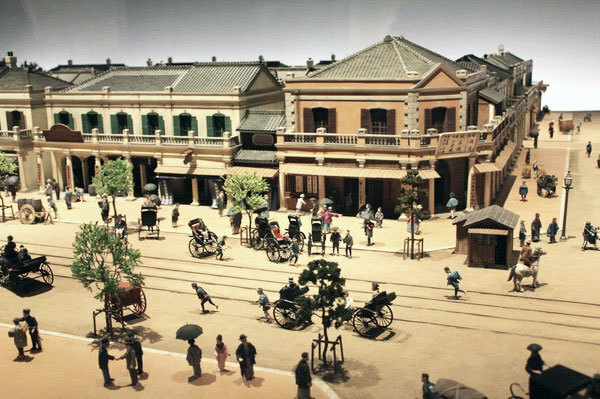 After the Great Ginza Fire in 1872, the Meiji Government designated the Ginza area as a model of modernization. The Government constructed fireproof brick buildings, designed by an Irish-born architect Thomas Waters. Adding roadside trees and gaslights, and horse-drawn streetcars, Ginza was referred to by locals as the Japanese Regent Street at that time. While Ueno and Asakusa were cultural and traditional entertainment towns, Ginza attracted people for its western architecture and modern atmosphere. Its location near the foreign concessions of Tsukij made products from abroad available in Ginza. A handful of merchants offering imported western goods gathered in the area, and Ginza took the lead in spreading western culture in Japan. As cafes mimicking Parisian cafes were opened, artists and novelists also began to gather there. After the 1923 Great Kanto Earthquake, Ginza witnessed the construction of larger buildings and department stores around the area. In the aftermath of World War II, the U.S. military expropriated some commercial buildings for use as Post Exchanges for the American military. 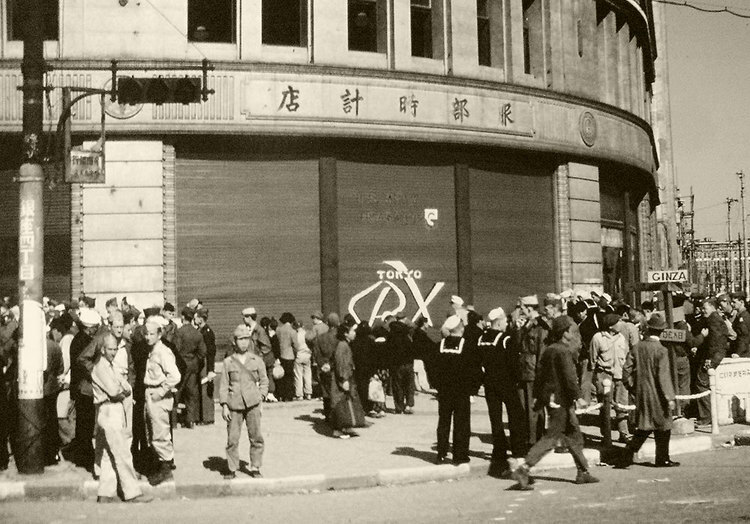 After they returned those buildings to the Government of Japan, Ginza saw a revival as department stores, restaurants, coffee shops, bars, and other businesses were rebuilt. While railways expanded to the west of Tokyo, major terminal stations such as Shibuya, Shinjuku and Ikebukuro eventually became popular commercial districts in the city, although Ginza remains the most upscale commercial district in Japan. 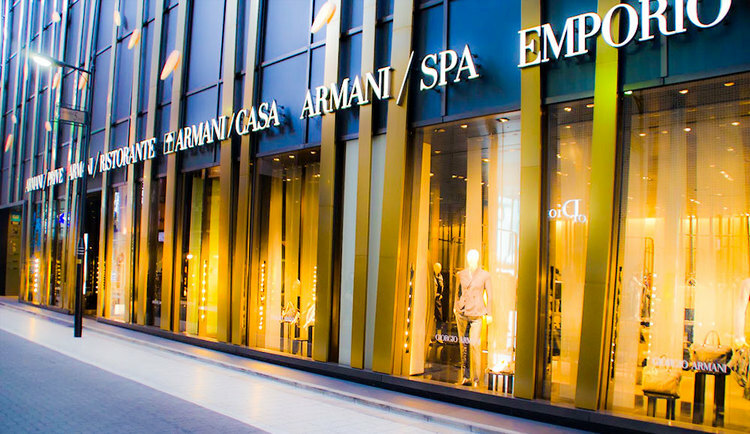 Ginza was also well known as the most luxurious corporate entertainment spot during the Japan’s Bubble period. 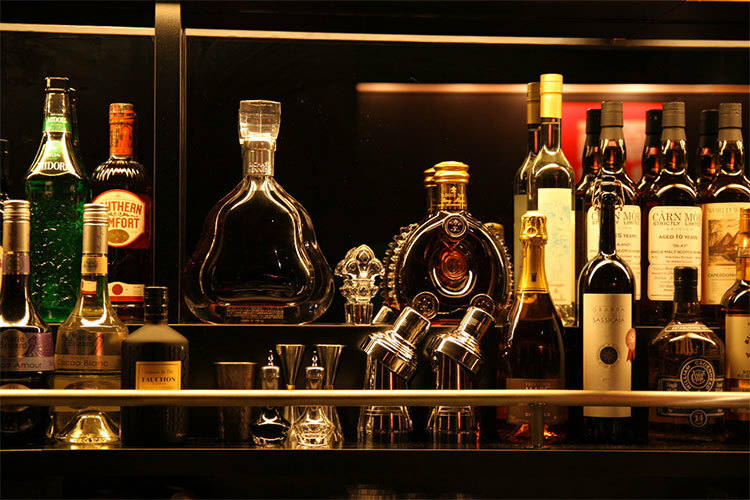 Executives are said to have sometimes spent over a million yen, or ten thousand US dollars, in one night to entertain their clients during this era.